George H. W. Bush gave me the coolest pair of socks I own. I know it’s hard to associate our 41st President with anything cool, but allow me to explain. Earlier this year, I attended A Celebration of Reading, an event sponsored by the Barbara Bush Foundation for Family Literacy. During the program, they projected several photos of President Bush wearing outlandish socks. He was smiling and laughing in each photo, obviously comfortable with the fashion statement he was making. When the slideshow ended, President Bush entered the stage in his wheelchair flanked by a squad of Houston Texans cheerleaders. He stopped in the middle of the stage, flashed a little sock and directed his entourage to push him backstage. That move was akin to Kanye West’s dropping the mic onstage. I had newfound appreciation for President Bush. At dinner, were presented with swag bags that included signed copies of the authors’ books and a pair of socks authorized by the President himself. Mine were bright orange with grey pinstripes. 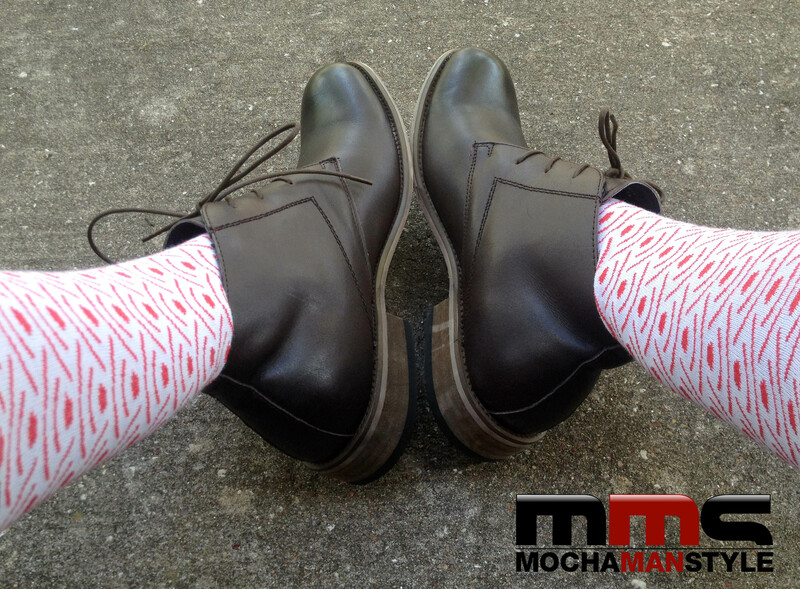 I wore them proudly as if it were my patriotic duty to liberate the world from boring socks. Those socks whet my appetite for more fashionable socks. My hunger was finally sated when I discovered Soxfords. Their colorfully themed designs embrace the notion of being really unique without being overly loud or obnoxiously silly. What I like most about the company is that they don’t take themselves too seriously. Many of their designs are subtle, tongue-in-cheek fashion statements such as the 20,000 Leagues which feature a submarine surfacing from your shoe or the Zealous Zombie which gives a cultural nod to the Walking Dead franchise. What I like most about my Soxfords are their versatility. I can wear them with my oxfords, ankle boots, and Jack Purcells. I also wear them with my cowboy boots, but what’s the point if nobody can see them. If you’re ready to ditch those boring, bland socks and take your sock game to the next level, order a pair of Soxfords. You can chose from gift boxes, combos, or the Whole Enchilada. Add a pair of Soxfords to your wardrobe and breathe a little life into your typical business casual. You will make President Bush proud.